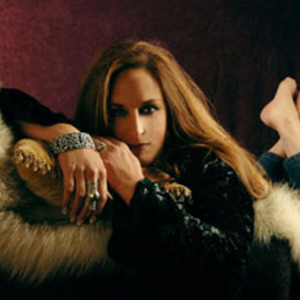 Lana Lane is a solo artist from the United States who primarily works in the realm of symphonic rock by doing so notified as ?Queen of Symphonic Rock'. And if anyone has earned that title, it is most certainly her.. Lana Lane grew up in a very music-oriented family, with the sounds of her mother's voice and the radio constantly filling the air. Naturally, Lana picked this up and started becoming seriously interested in singing in high school. She moved to Los Angeles to further her career where she met future husband, music producer, and synth/keyboardist Erik Norlander. Lana Lane grew up in a very music-oriented family, with the sounds of her mother's voice and the radio constantly filling the air. Naturally, Lana picked this up and started becoming seriously interested in singing in high school. She moved to Los Angeles to further her career where she met future husband, music producer, and synth/keyboardist Erik Norlander. The two eventually founded their own production company/record label Think Tank Media to release their work. She has produced many recordings using a many guest musicians such as Pain of Salvation's Kristoffer Gildenlow. Arjen Anthony Lucassen, mastermind of Ayreon, Ambeon, Stream of Passion, and Star One, took note of Lana's voice, and the two have collaborated on a few projects together. Arjen took a part in the writing of Tarot, and Lana did guest vocals on Ayreon's Universal Migrator albums, for example. Lana has produced many albums over the years, though Secrets Of Astrology and Queen of the Ocean are the most widely known.